Should You Buy InterContinental Hotels Group PLC (NYSE:IHG)? The 700+ hedge funds and money managers tracked by Insider Monkey have already compiled and submitted their 13F filings for the fourth quarter, which unveil their equity positions as of December 31. We went through these filings, fixed typos and other more significant errors and identified the changes in hedge fund positions. Our extensive review of these public filings is finally over, so this article is set to reveal the smart money sentiment towards InterContinental Hotels Group PLC (NYSE:IHG). InterContinental Hotels Group PLC (NYSE:IHG) shareholders have witnessed an increase in hedge fund interest recently. IHG was in 7 hedge funds’ portfolios at the end of December. 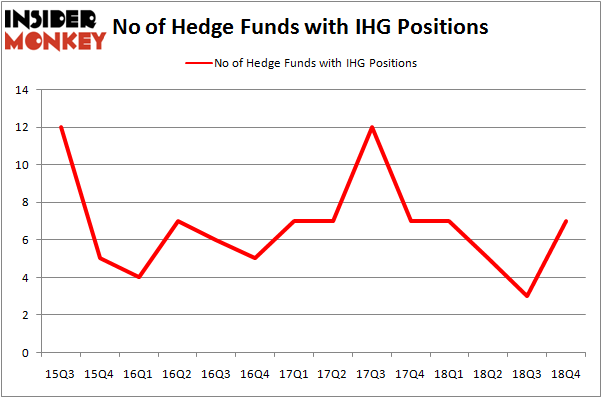 There were 3 hedge funds in our database with IHG positions at the end of the previous quarter. Our calculations also showed that IHG isn’t among the 30 most popular stocks among hedge funds. Let’s take a peek at the new hedge fund action encompassing InterContinental Hotels Group PLC (NYSE:IHG). 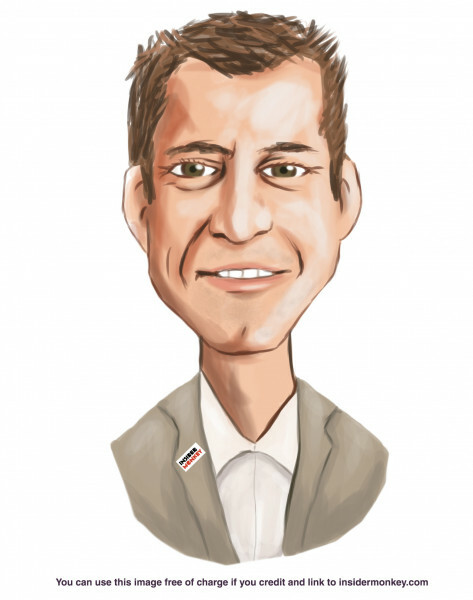 Heading into the first quarter of 2019, a total of 7 of the hedge funds tracked by Insider Monkey were bullish on this stock, a change of 133% from one quarter earlier. On the other hand, there were a total of 7 hedge funds with a bullish position in IHG a year ago. So, let’s see which hedge funds were among the top holders of the stock and which hedge funds were making big moves. More specifically, Renaissance Technologies was the largest shareholder of InterContinental Hotels Group PLC (NYSE:IHG), with a stake worth $7.4 million reported as of the end of September. Trailing Renaissance Technologies was Citadel Investment Group, which amassed a stake valued at $4.1 million. Arrowstreet Capital, Two Sigma Advisors, and D E Shaw were also very fond of the stock, giving the stock large weights in their portfolios. As one would reasonably expect, key money managers were breaking ground themselves. Citadel Investment Group, managed by Ken Griffin, assembled the largest position in InterContinental Hotels Group PLC (NYSE:IHG). Citadel Investment Group had $4.1 million invested in the company at the end of the quarter. Peter Rathjens, Bruce Clarke and John Campbell’s Arrowstreet Capital also made a $3.7 million investment in the stock during the quarter. The other funds with brand new IHG positions are Michael Platt and William Reeves’s BlueCrest Capital Mgmt. and Matthew Tewksbury’s Stevens Capital Management. Let’s now take a look at hedge fund activity in other stocks – not necessarily in the same industry as InterContinental Hotels Group PLC (NYSE:IHG) but similarly valued. We will take a look at Enel Americas S.A. (NYSE:ENIA), Dover Corporation (NYSE:DOV), Conagra Brands, Inc. (NYSE:CAG), and Raymond James Financial, Inc. (NYSE:RJF). This group of stocks’ market caps are similar to IHG’s market cap. As you can see these stocks had an average of 24.5 hedge funds with bullish positions and the average amount invested in these stocks was $504 million. That figure was $18 million in IHG’s case. Conagra Brands, Inc. (NYSE:CAG) is the most popular stock in this table. On the other hand Enel Americas S.A. (NYSE:ENIA) is the least popular one with only 11 bullish hedge fund positions. Compared to these stocks InterContinental Hotels Group PLC (NYSE:IHG) is even less popular than ENIA. Our calculations showed that top 15 most popular stocks among hedge funds returned 19.7% through March 15th and outperformed the S&P 500 ETF (SPY) by 6.6 percentage points. Unfortunately IHG wasn’t in this group. Hedge funds that bet on IHG were disappointed as the stock returned 11% and underperformed the market. If you are interested in investing in large cap stocks, you should check out the top 15 hedge fund stocks as 13 of these outperformed the market. Were Hedge Funds Right About Souring On Vornado Realty Trust (VNO)? Is Seagate Technology (STX) A Good Stock To Buy? Hedge Funds Haven’t Been This Bullish On DexCom, Inc. (DXCM) Since 2015... Do Hedge Funds Love Lincoln National Corporation (LNC)? Were Hedge Funds Right About Dumping Elanco Animal Health Incorporated (ELAN... Were Hedge Funds Right About Flocking Into Marvell Technology Group (MRVL)?